Chronos eStockCard v3 Warehouse Edition has been released in the market for few years now and we have received many compliments from our customers even users. It is always our honour to be able to help our customers to solve the inventory issues such as traceability, shelf life control and inventory holding issue. We also appreciate it when the users can suggest good ideas for us on how to improve the eStockCard. One of the most requested suggestion from our users is to simplify the Warehouse Edition. The eStockCard team takes this request into consideration and finally we go for it so we are glad to introduce the new Chronos eStockCard v3 Warehouse Express Edition. What is Warehouse Express Edition? It is a light version of the eStockCard v3 Warehouse which is specifically targeted the customers who would use it immediately without fully making use of all the features in the eStockCard v3 Warehouse. The features are almost the same as the standard Warehouse Edition but it has some features limitations and certain screens are non-accessible. 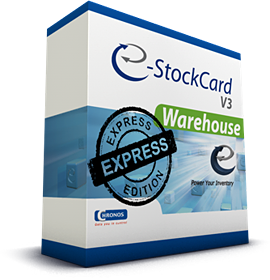 The price for eStockCard v3 Warehouse Express Edition is only USD299 per license which is only a fraction price of the eStockCard v3 Warehouse Full edition. Rest assured that based on our feedback from our customers and users, those limitations will not affect those customers who are just making use of the simple functions in the eStockCard v3 Warehouse to monitor and track on their stock inventory. However, if in the near future when your organization grows bigger and more functions would be required, you can opt to upgrade from the Express Edition to the Standard Warehouse Edition by just paying the balance difference between these two editions. To find out more of the Chronos eStockCard v3 Warehouse Express Edition, check out the full details on the functionality limitations at this product comparison page here http://www.estockcard.com/inventory-software-comparison.html. Cycle counting is an inventory stocktake solution that allows organizations to count a number of items quantity in certain areas within the warehouse without having to count the entire inventory. It is a sampling technique where count of a certain number of items can be selected to be counted. This sampling method is used by surveyors every day where they measure the opinion of a small group of the people and infer that is the opinion of the whole population. When a cycle count is performed, there are two consumption that are made. The primary one is that the accuracy of the items quantity in the cycle count can be used to determine the accuracy of the items quantity in the warehouse as a whole. The other is that if an incorrect quantity is found in the cycle count then that it could also be expected to occur for other items in the warehouse. When the warehouse management starts cycle count (stock take) they may use a certain category of item to test whether this group of items will provide with the best result. The process usually focuses on a small category of items that are counted many times within a certain period. This repeated process will show if there are any inaccuracy in the count technique which can then be corrected. The process is continued until the technique has been confirmed to be accurate. When a number of items to be counted are chosen randomly, this process known as random sample cycle count. 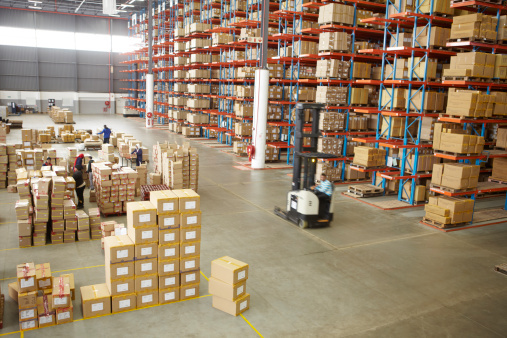 When a company’s warehouse has a large quantity of items, they can randomly select a certain number of items to be counted in order to save times and resources. The count can be performed weekly or monthly so that a large percentage of the items in the warehouse are counted in a reasonable period. Two methods can be used in random sample cycle counting; constant counting and diminished counting. Constant counting is where the same number of items are counted each time a count is performed. This can mean that certain items are counted frequently and some items are not counted, as the selection of items to be counted is random. Diminished counting is a technique where a number of warehouse items are counted and then excluded from being counted again until all of the items in the warehouse are counted. Each count selects items from an ever-decreasing number of eligible items to be counted. A racking system can either make the life easy or complicated in your warehouse or distribution center. Physical constraints and the operating requirements whether simple or unique need to be considered on the existing changes plan or expend the existing facilities before selecting a rack system. Storage density. By analyzing the current storage volumes by SKU, you can identify deep-lane storage such as double-deep, drive-in, drive-thru opportunities which can dramatically increase cube utilization within a warehouse. LIFO or FIFO? 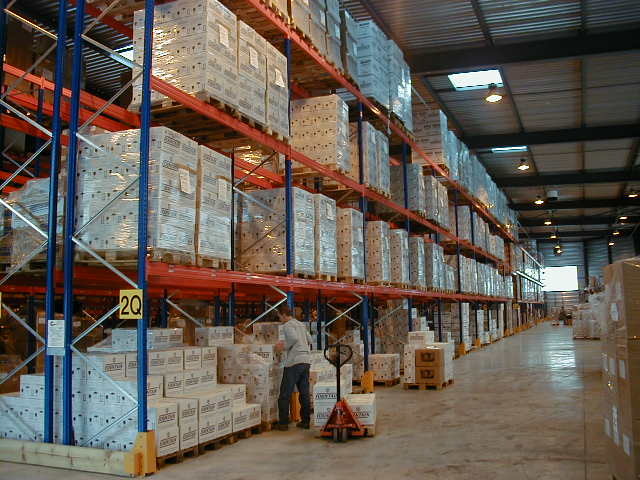 For FIFO (First in, First Out), consider pallet flow racks. However other deep-lane storage alternatives in a FIFO environment under the right circumstances can also be considered. But carefully on it because buried loads may significantly increase your material handling labor costs. Easy to pick Inventory. To have access to specific pallets at all times, deep-lane storage is not suitable. In case of a space crunch, you may have no choice but force to “bury” pallets. If this practice is limited to the slowest-moving SKUs, the additional labor required to access these loads may have to be used. Picking profiles. How the inventory is packed? Are they in pallets, cases, or pieces? Are you picking from bulk to replenish a forward pick zone? Depending on the answers, different types of racks might be required and configure. Warehouse lighting. Increased accuracy & sight, reduced rack damage, and improved work environment are all factors to consider when lighting a warehouse. Warehouse environment has a direct impact on the cost and type of rack being selected. Consider warehouse climate, wash-down requirements, local government regulations, and other special product handling needs. Capacity. Do not estimate or guess how much the heaviest pallet loads weigh. Weigh them properly. Based on the heaviest pallet will be stored into any of your storage racking locations, then build up the racking system accordingly. This will help considerably in building up the flexibility and safety into the storage system. Check out Chronos eStockCard v3 Warehouse Edition here to see what are the features and benefits you can get from our powerful warehouse control system. Inventory management is a coordinated full circle processes from supply chain management to material planning, through inventory control and including logistics all which would be carried in the warehouses. Inventory management usually begins and ends with supply chain management due to the opportunities to improve efficiencies in order to reduce additional costs. However, the other stages of the inventory management cycle are also important in attaining overall work efficiency. As inventory is one of the top expenses for all organizations, there is urgent requirement to apply the correct procedure in each step of the processes. Different organizations would have different type of inventory management and thus the mosyt efficient inventory management is an inventory models which incorporates different technical applications into it. Buffer stock, minimum ordering quantity, price of goods, inventory turnover, customer inventory stock and suppliers managed inventory, play a critical role in what is inventory management. Different industries would have different needs on what is inventory management, but most of the concepts are the same. Even though the key principles of inventory management remain the same throughout all industries, the areas which require emphasis would vary from sector to sector. Knowledge on how to apply the right inventory warehouse management tools is part of executing the method and science of what is inventory management. 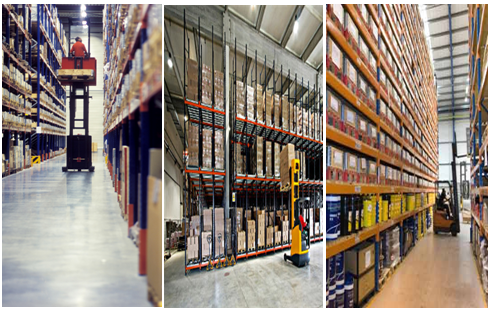 Effective inventory management depends on the full knowledge on what is inventory management. 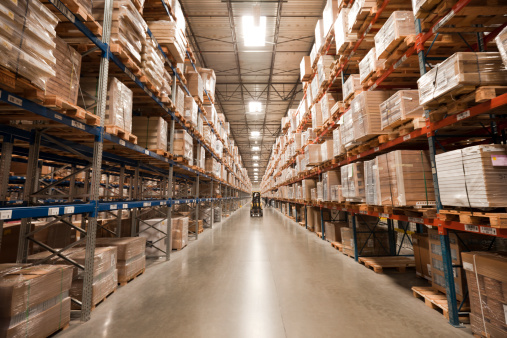 By applying all aspects of the inventory management cycle, businesses can reduce investment in excess inventory level, warehouse rental, logistics costs while maintaining or improving customer service levels and in-stock level for critical inventory. It is amazing what you’ll find in the warehouse when you just clean it on a weekly basis. Mystery inventory such as returned goods, damaged goods and special buyouts won’t have any place to hide. Beyond the ability to move more quickly in the facility, your team will begin to develop a greater sense of pride in their workplace. Remember, this is the place where all your cash is stored. You want a team that protects your cash from the outside threats of salespeople, truck drivers, and manufacturer reps. Your warehouse employees work with your cash all day long. Make shirts for them that say “Vault Security Team” or “Vault Management Team” or something similar that signifies the importance of what they do. This does a couple of things. First, it reminds them that inventory has value. Second, it helps identify those people who belong in the warehouse. A key element in keeping a secure warehouse is to eliminate those folks who have no business being in there. When most people are designing a warehouse, they tend to cram as many racks of inventory into the space as possible. Usually as an afterthought, they carve out enough room for a little desk by the dock door, run a terminal to it and call it the receiving department. Here’s the problem: Most inventory errors start in receiving. If you make a mistake here, 10 additional problems will occur in the company. Start by giving them adequate room to work. You’ll see your inventory adjustments decrease immediately. Why do we always put rookies in receiving? As I mentioned earlier, mistakes in receiving cause multiple headaches down the line. Make sure you get it right coming in the door. Pay your receiving clerks well, and encourage them to stay in the position. Remember, you’ll always have more products coming in than going out. Receiving is your one place to get it right the first time so you don’t have to redo orders later because of receiving errors. Don’t assume your newer employees can navigate the aisles. Help them out. Create colorful signs to direct them to aisles or bins. Warehouse maps are a great way to increase productivity immediately. Clearly label any and all landmarks. Try this: Ask one of your friends to come into your warehouse and pick an order. If your warehouse is set up correctly, they should achieve a high success rate without asking questions on every item. It needs to be that easy. Most item databases will allow you to add multiple lines of description to any SKU in the system. Use them and you’ll increase the order pickers chance of pulling the right product. Put in physical descriptions like “the blue one” or “two wheel.” This is especially critical when you’re talking about minimum quantities. Make it clear that the “each” actually refers to the pair that’s in the pack, not to one of the two. This simple change will help you eliminate future dead stock. Don’t worry about killing a few extra trees. They grow back. For the typical distributor, the cost to process an order is significant. In order to get it right the first time, install a method of double-checking using one of your seasoned veterans. This is especially important if you have new people picking orders. In order to make it easier for your delivery staff, develop a custom colored label for each of your most valuable customers. Make sure every package you deliver to that customer has that label. Your drivers will be able to quickly identify those orders. You don’t want to make mistakes on orders to your best customers. Simply stated: “What is started today, must be completed today.” If you receive it, it must be put away. If an order is put in the system and a pick ticket is printed, it must be picked and shipped or staged. In order to make this happen, create cut-off times. Order processing must end at a defined time. We need to give the warehouse a chance to finish the day. Most of us know what it is. Some of us recognize the benefits. Few of us have made it part of our standard operating procedures. Cycle counting will increase the accuracy in your systems. By examining inventory daily, you’ll find those mystery items that have found their way to the shelves. You can correct items that have been put in the wrong place. You can rotate stock. The list can go on indefinitely. Cycle counting is penicillin for distributors because it attacks so many little problems and solves them on a timely basis. Chronos eStockcard Inventory Software has been successfully being implemented in this industry and it has greatly improved the warehouse productivity by reducing errors and achieve better control in product quality. Involve in local & global procurement, processing and distribution of Live, Fresh and Frozen Seafood. IN Screen is being used to capture essential information such as lot number, batch number, expiry date, PO number, DO number received from the supplier via very simple screen. Storage location will be searched and suggested by the system for effective put-away. Screen can be customized to suit your business processes. Very simple OUT Screen or Picking List are being used for frozen goods retrieval. Inventory rotation is customizable either FIFO or LIFO. Alert system is embedded in the eStockcard and you can configure it to monitor the products that is-about-to-expire or already expired via email. This will greatly improve product’s expiry management processes. The benefits of paperless can go infinite. At the least, businesses will be awarded with better and quality business data. One time data entry – Instead of handling data twice (pencil and paper, then data enter into the computer), scanning facilitates data entry at the time warehouse activities are performed. Efficient data entry – Scanning bar codes is much more efficient than writing data on a piece of paper. The time required for data entry, sending paper orders to the warehouse, searching for misplaced paperwork and filing and maintaining proper paper documentation are all eliminated. This alone can result in significantly increased efficiency and cost savings both in labor and paper-related expenses. Accurate data entry – Scanning bar codes eliminates data entry errors. This ensures a high level of accuracy in filling orders, product check‐in, putting away products into the correct locations, and accurate replenishment of pick‐bins. Costs associated with shipping, receiving and inventory errors can be virtually eliminated. Timely information – If data is captured at the time that processes are performed, the system can provide real time information back to the enterprise for better decision making. After a few months of hard work from our team, we’re glad to announce that the latest version of Chronos eStockCard v3.4.0 which is compatible with Windows 8 is released today! Now you can go to our download page here to get the latest version. For the changes that we have done in this version, please refer to the Release Note below for more details. If you face any issue with this new version, please do not hesitate to contact us and our support team will check on your issues. Picking can be severely affect warehouse’s productivity as the picker will spend significance amount of time for traveling within warehouse premises. 1. Is information, instruction or document available and adequate (what to pick, where to pick, how much to pick) for picking? 3. Has picking orders been sequenced or consolidated? 4. Are items ready (quantity, quality, packing condition) for picking? 6. Is material handling equipment in working condition? 7. Is the picking information (item, quantity, batch, lot) being captured and recorded after picking? 1. Is an adequate inspection made to the condition (such as damage, wet, contaminate, leakage) of incoming items? 2. Are items properly packaged? 3. Are open or damaged items being recorded and segregated? 4. Are open or damaged items removed from stacks and repacked? 5. 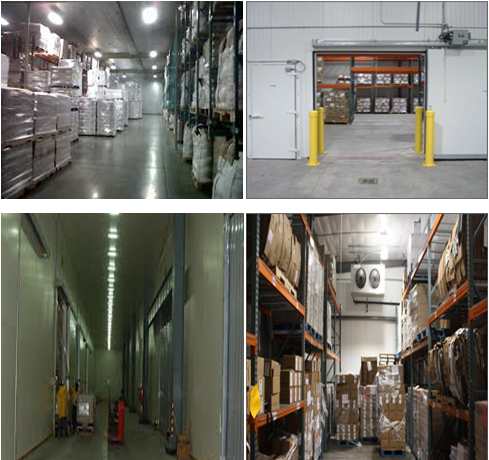 Are put away methods best suited to the characteristics of the storage areas? 6. Are items following stock rotation rules such as FIFO or FILO. Well-planned stacking with easy access makes this rule easier to apply. 7. Are items of similar categories grouped together for better accessibility? 8. Are stored items adequately and accurately marked for proper identification and easily located? 9. Does the storage plan permit flexibility of operations and provide for adequate small-lot storage space? 10. Are hazardous and flammable items being stored separately? 11. Are items stacked correctly to ensure the greatest safety to personnel, protection of material and accessibility? Are stacking instructions being followed? 12. Is stacking up to reasonable height, adequate clearance for better accessibility as per storage layout plan? 13. Is space sufficient between stacking to allow better ventilation especially stack and the roof? 14. Are items which are not palletised being raised off the floor by use of dunnage? 15. Are packing, crating and other preparations for shipment adequate? 16. Are adequate and proper steps taken to care and preserve storage items?